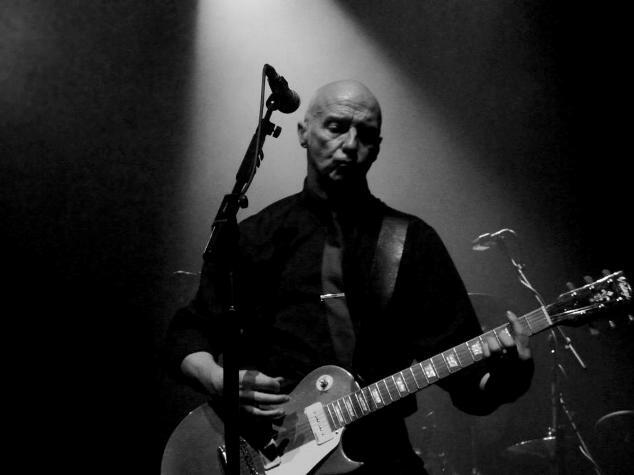 MIDGE URE needs no introduction as one of the most highly regarded elder statesmen of the British music scene. Having become fascinated by KRAFTWERK when they hit the UK charts with ‘Autobahn’, he purchased his first synth, a Yamaha CS50 in 1977 and eventually became a prime mover in helping electronic music gain a mainstream acceptance in the UK. Through his work as a member of VISAGE and ULTRAVOX, songs such as ‘Sleepwalk’, ‘Vienna’, ‘Fade To Grey’, ‘Mind Of A Toy’, ‘The Voice’, ‘The Anvil’, ‘Hymn’, ‘Dancing With Tears In My Eyes’ and ‘Love’s Great Adventure’ have since become recognised standards in Synth Britannia folklore. During this period, he also produced tracks for FATAL CHARM, PETER GODWIN, RONNY and MESSENGERS. Previously, he’d been a member of THE RICH KIDS and had worked with THIN LIZZY and THE SKIDS. And all this is without mentioning his three UK No1s with SLIK, BAND AID and as a solo artist, plus his charity work with the Band Aid Trust, the Prince’s Trust and Save The Children. The last few years have been particularly busy for MIDGE URE. A regular on the live circuit with his endearingly intimate acoustic gigs featuring career highlights in stripped back form, he also undertook a number of key collaborations in Europe with acts such as X-PERIENCE, SCHILLER and JAM & SPOON. There was of course his own covers album ’10’ in 2009 with Ure’s emotively respectful takes on Peter Green’s ‘Man Of The World’ and Freddie Mercury’s ‘Nevermore’. 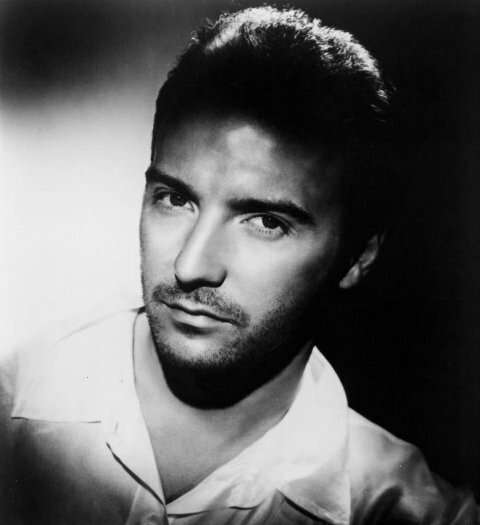 But his most high profile project was the reformation of the classic ULTRAVOX line-up. 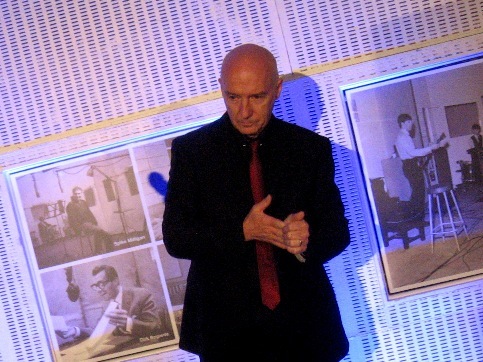 His successful live reunion with Warren Cann, Chris Cross and Billy Currie in 2009 subsequently led to the recording of 2012’s ‘Brilliant’ album. An impressive collection of songs by any standard, the songs ranged from the motorik stomp of ‘Live’ and the ‘U-Vox’ gone right melodic rock of ‘Lie'<, to the pulsing electronica of ‘Rise’ and the Odyssey laden ‘Change’. It was a highly apt return as ULTRAVOX’s biggest legacy has probably been the stadium pomp of MUSE… just listen to ‘Apocalypse Please’, ‘Starlight’ and ‘Guiding Light’ if any proof is needed. How did it feel to be working with an orchestra again on ‘Taking Back My Time’, having done so previously on ‘All In One Day’ and at the ‘Night Of The Proms’ concerts in Germany? This is slightly different. Stephen Emmer did all the arrangements for the ‘International Blue’ album so I was presented with a backing track that he’d fine honed and worked on. He thought my voice and my style of melody and lyric writing would suit this project. This is very grown up stuff, it’s really complicated, beautiful musical arrangements… so to sing a track like that, it was an absolute joy because I didn’t do it the same way I would normally approach one of my songs; it was a different key for me, I sing it much lower so it’s a different vocal range and you can hear that. 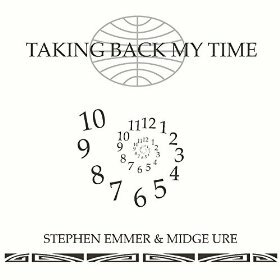 Were there any particular classic reference points you used for ‘Taking Back My Time’? Not really… I mean the chord structure and arrangement that Stephen already had were so reminiscent of the Burt Bacharach school of songwriting, that whole Scott Walker thing, the melody instantly came into place so my process of writing for this took maybe two or three days so it wasn’t a huge amount of time to sit there and do it. My big worry was that I wasn’t going to do Stephen’s backing track justice. So I had to make sure I was singing something that was solid and informative plus had interesting plays on words and subject matter. But the melody itself had to embellish and compliment what he’d already put there. 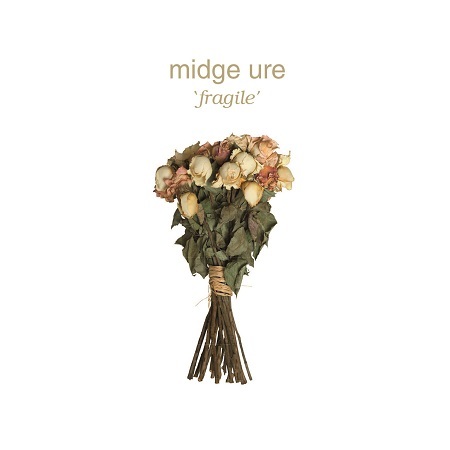 You have a new solo album ‘Fragile’ coming out soon. How would you describe it? There’s a song ‘Let It Rise’ which you originally did with SCHILLER. How have you reworked it to suit your own style? 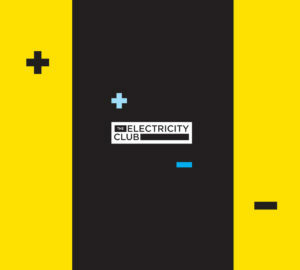 SCHILLER’s got his very own, very good and distinctive style which is much more of a laid back, trip-hop dance thing. And although when we wrote it, the track suited his style incredibly well, I thought I could take it back again and turn it into something that’s much more me which is precisely what I’ve done. One of the highlights of ‘Fragile’ entitled ‘Become’ is another of the songs that’s been around? It’s the first single… that’s kind of harking back to early VISAGE. You had originally offered ‘Become’ for the VISAGE comeback album? I decided not to get involved when originally Rusty Egan and Steve Strange looked like they were getting VISAGE back together again. But when Rusty wanted to start playing around with remixes using modern electronic computer recording techniques, he asked if I had anything so I gave him ‘Become’. He started playing around with it and changing it; but I kept saying to him “Rusty, I will finish that at some point, it’s just something for you to dabble with”! Then it was going to be a track with Steve singing on it, it was going to be a VISAGE track, it was going to be this, it was going to be that… eventually, I said “it’s mine, I’m gonna finish it!” – Rusty is more than welcome to take it down the route he was taking it, but it’s a very different track to the one I finished, although they were conceived from the same idea. You also worked with MOBY on this album? Yes, the track is called ‘Dark Dark Night’ and it was originally going to be for MOBY’s last album… but in true MIDGE URE style, by the time I’d finished it, MOBY’s album was out! So I converted it and turned it into my thing. I’ve never met MOBY or spoke to him, but we’ve got an email / tweeting relationship, so he asked me to do a modern collaboration and that was one of the songs he sent over. I’ve run it past him, he absolutely loves it and more than happy that I’ve put it on ‘Fragile’. I’m touring in America during the summer and he’s coming to the show at The Greek Theatre in Los Angeles, so I’ll finally meet up with him. Is there a concept behind ‘Fragile’? Yes, subject matter-wise, I always think of an album as a diary and about what affects you. The period, between this album and the last one ‘Move Me’, is such a long period that there have been many highs and many lows during it. So I just documented most things. Some of the songs were starting to be conceived way back then, but I never completed them until the last couple of months, so the whole thing still is coherent and works as a unit, as an album. I’ve started playing with instrumental music again, it’s fairly diverse and very distinctly me. It’s been 12 years since ‘Move Me’ and you’ve mentioned that part of the delay has been the frustration of the modern music industry. What are your hopes and fears regarding the future… if there is one in the conventional sense? I can’t predict how it is going to go but I can’t imagine it’s going to get any worse in the industry. We seem to have gone through a massive period of mediocrity while there’s still been some great music, writers and musicians out there. But they seem to be buried under this sea of apathy. I think that the more people understand that the industry as we knew it has completely and utterly gone, then they have to start to do what I’ve had to do for the last thirty years, which is learning how it all works. So on the ‘Fragile’ album, not only have I played 99% of the instruments, I’ve engineered it, I’ve produced it, I’ve mixed it, shot a video and edited it… you have to be a kind of king of many things. You have to understand how it all works, because there aren’t people out there to do it all for you. There are no budgets out there to throw money at the wall and hoping it will stick! You have to get it right for you, first and foremost. I’m a firm believer that if you absolutely are convinced it’s right, other people will get it. 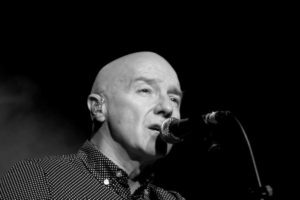 You did some dates with ULTRAVOX supporting SIMPLE MINDS in Autumn 2013… was that to test the water with the view to ULTRAVOX continuing in the future at some point, or just some fun? 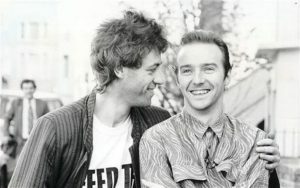 I think the ULTRAVOX thing, as we said from day one when we got back together, was that we’ve opened doors now that were certainly closed before. And now ULTRAVOX can just sit on a shelf until we find something that interests us to do. The idea of just going out every year and doing another tour / another tour / another tour kinda is self defeating because it’s a case of diminishing returns… the more often you go out, the less people will go and see you and it becomes a bit pathetic. And we never set out to make it anything pathetic. We want to keep it quality and keep it right. So it’s still sitting there, still breathing, we’re just waiting for a breath of life to spark it back into action again. The 30th Anniversary of the original BAND AID recording is approaching. Are there any plans to officially commemorate it? You know what? I honestly have absolutely no idea! There are no plans to do any celebratory 30th Anniversary things. We did Live8 ten years ago, we did BAND AID20 ten years ago… there was talk of a new version of the song, but I don’t think it’s going to happen. But watch this space, who knows?